73138 arrives at Yeovil Junction on 2 May 1999 with the Pathfinder Tours 1Z96 16:13 Weymouth Quay to Yeovil Junction 'Wey-Farer' railtour. The little 600 hp diesel hadn't had to haul the train all the way from the coast, as 37250 & 73106 had worked the train up to Yeovil Pen Mill, with 73138 being used for the short distance between the town's two stations. 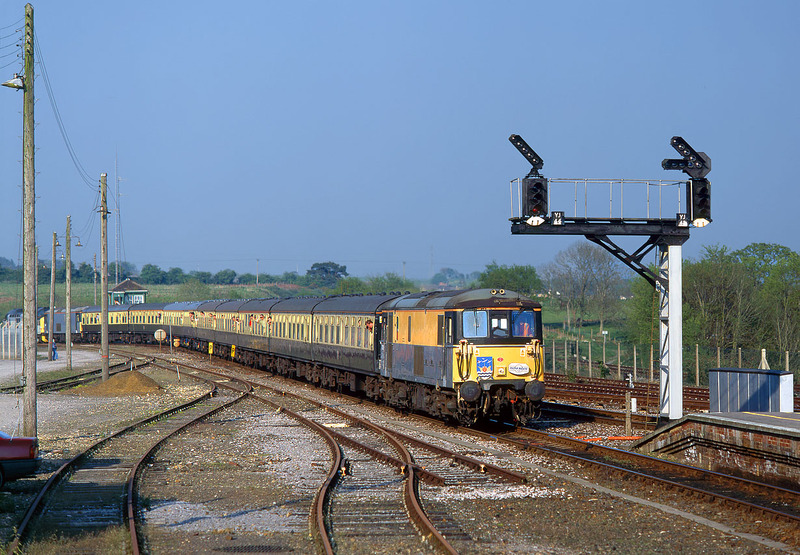 37250 & 73106 can be seen on the rear of the train, passing Yeovil Junction Signal Box.